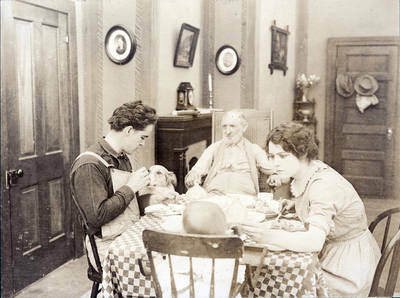 Production still from the Thanhouser film "While Baby Slept," released June 10, 1913. William Russell gives a treat to a dog [Shep?] while Riley Chamberlin watches and Marguerite Snow feeds the baby.